BEHIND THE DOLLS​ Joe MacPhale was born in late November 1959, in the town of Santurce, Puerto Rico. His grandparents in the town of Bayamon raised Joe. "I vividly remember my first drawing at the age of 5. Someone gave me a blue tempera jar and a wooden stirring stick with a piece of cream-colored paper, so I drew my first stick man! I think that was the beginning of a wonderful discovery of the magic of imagination"
At the age of 18, he moved to Orlando, Florida with the purpose of joining Walt Disney World. In 1980, Joe became an ice skater for the holidays show, at Lake Buena Vista. He worked at Disney in different positions for the next 25 years. In 2008, the new company Ancient Whispers LLC was born. Now after 50 years of creating art and doll making, he have mastered the art of silicone mold making and resin casting. "For the last 11 years, we had offer seminars for artists interested in mold making and casting as well as sculpting lessons. We are currently providing videos, and internet classes. 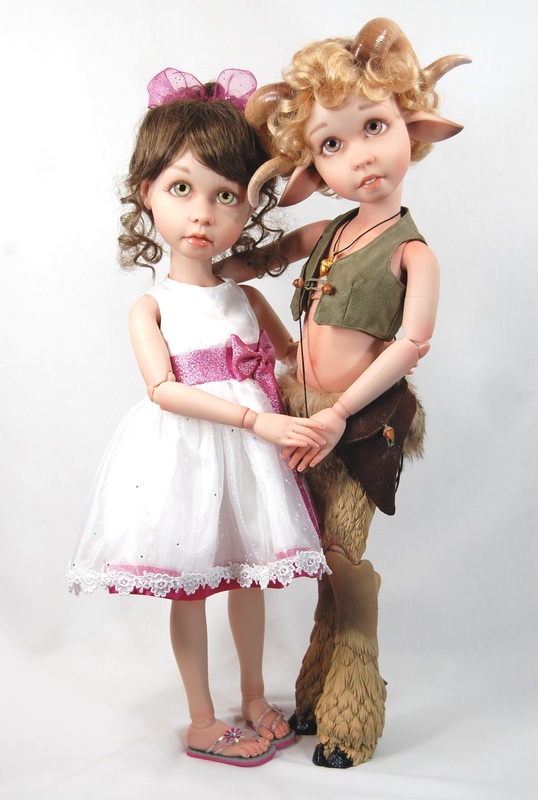 We are working on new dolls and limited editions"
Joe MacPhale is a proud recipient of two consecutives years (2011, 2012) of the DOTY (Industry choice and People’s choice) award winner, and 2012 PDMAG Artist Choice award. Recently Joe has also won the 2016 Diamond award of excellence, the prestigious 2017 PDMAG inovator & trendsetter award and in 2016 attained a new member status in the prestigious NIADA (National Institute of American Doll Artists) organization. David and Joe have seven dealers, and they are international for the first time with a dealer in France! Joe has been featured in six magazine covers and have a patent pending for the new blinking mechanism that bring his dolls alive! Joe MacPhale is immersing in his fantasy world where he have a way to incorporate all of the various forms of art he have learned throughout the years!